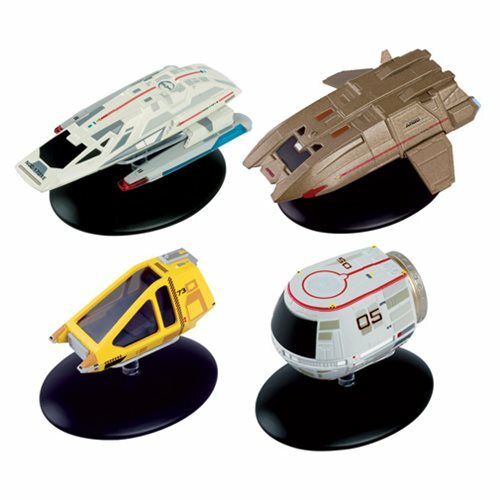 Star Trek Starships Collection Shuttlecraft Set 3 4-Pack collects four different Starfleetshuttles from across the Star Trek Universe. Each shuttle comes with its own Okudagram, designed by the Star Trek production team and an 8-page mini-magazine. Includes Type 11 Shuttlecraft, The Argo, Work Bee and Travel Pod. Ages 14 and up.